After featuring Botran in a previous piece, I’ve been lucky enough to try some more of their portfolio, and I thought it only makes sense to showcase the brand properly. So what is Botran and why was I eager to seek out more of their range? 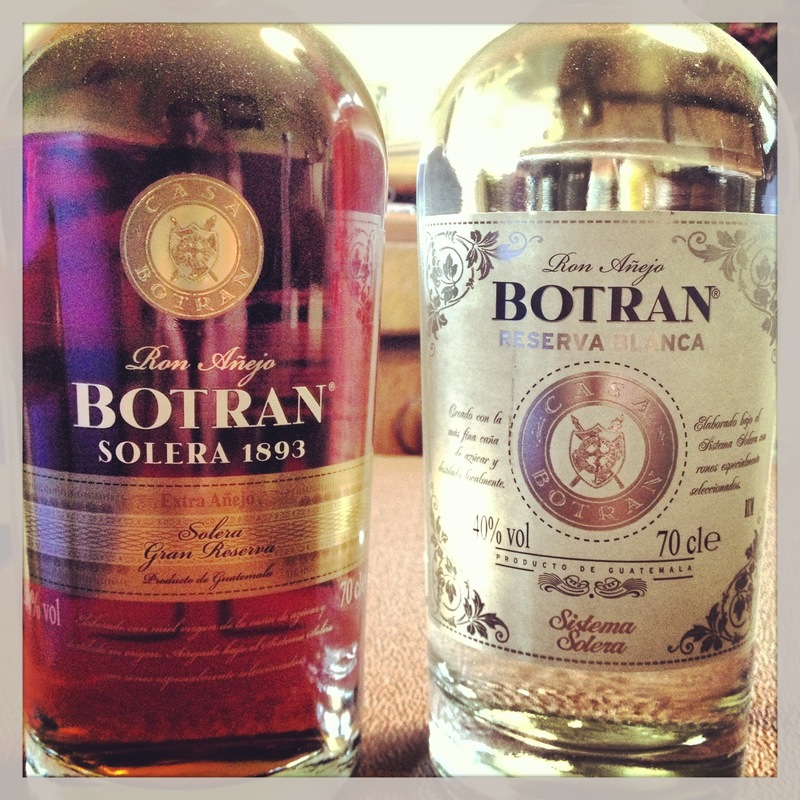 Botran is originally a name recognized for sugar cane production where the Botran family rum legacy began in Quetzaltenango a city poised in highlands of Guatemala. Here, five brothers discovered the ideal conditions for high-altitude, slow aging of rum. Since establishing Industria Licorera Quezalteca in 1939, the Botran family have been, and still are, involved in every stage of the rum production that also includes the unique adaptation of an age-old nurturing process called ‘Sistema Solera’ that involves the blending of younger and older rums as they age for years in a combination of seasoned white oak barrels. Guatemala also has some of its own rules when it comes to having a spirit branded as rum from its land. To be labeled as such, the Guatemalan standards requires that only virgin honey from the first press of the sugar cane be used. The rums of Guatemala are also distinguished by their unique, high-altitude aging process in the highlands. So how does this unique process come about? Using virgin sugar cane honey from plantations in Retalhuleu, south Guatemala, it is fermented for around 120 hours before being distilled within continuous column stills. To achieve the distinctive character of each one of its rums, they distill its rums individually differently for each product. Botran rums are distilled in stills with copper components that improve the quality of the rum and are then aged through the Solera System. Botran reaches adulthood in Quetzaltenango, the city where their aging facilities are located. Among the many aging secrets that make their rums unique is the charring of some the barrels used in the Solera System. The marrying process where the rums rest for up to a year. Combine Botran Reserva rum, lemon juice and syrup (or sugar) in the shaker half-filled with ice cubes. Shake well, and strain into a sour glass. Garnish with an orange slice and a Maraschino cherry. Optional: begin recipe by coating shaker with Angostura bitters, then pouring out excess. Pour enough oil into a heavy large saucepan to reach about 3 inches deep. Heat the oil over medium heat to 350 degrees. Place the squid into the buttermilk; strain the mixture after 10 minutes then toss into the flour to coat. Shake off excess. Carefully place about ¼ of the batch of calamari into the hot oil, fry until pale golden and crispy then remove and place onto a paper towel lined baking sheet or large plate. Repeat until all the calamari is cooked. Then, season with a touch of salt and place into a metal bowl. Spoon some of the chili sauce and toss quickly and serve with extra sauce. Fantastic pairing! Give it a go, or at least the rums. Expect to see them more prominantly in bars in the coming year too. of wastes, a blockage will occur causing skin problems, water retention, illness or infection. force, it goes right back to the bowed position. Most sufferers miss extended periods of work simply to recover. weight, get firm & fight gravity’s pull, exercise is a must. casual to serious swimmers, fitness freaks and kids having fun. your body without placing excessive pressure on your body.